So writes Jeff Thomas (www.caseyresearch.com) in edited excerpts from his original article* entitled Don’t Dismiss the Possibility of Gold Confiscation. If you hold precious metals in your portfolio, there is a good chance you fear hyperinflation and the crash of fiat currencies. You probably distrust governments in general and believe they are self-serving and have no interest in your economic well-being. It is likely that your holdings in gold are your lifeline – your hope to get you through these times while holding on to your wealth – but have you ever given any thought to the possibility of having this lifeline confiscated by the authorities? Yes, this is quite so. They would be changing their official view which, of course, they do all the time, but I submit that all that they need to do is put the proper spin on it. I expect that this is also true, but [believe] that a plan will be put in place to deal with that resistance. We’ll address both of the above assertions in more detail shortly, but first, a bit of history. Today, the U.S. government is in much worse shape than it was in 1933, and it has much more to lose. The U.S. dollar is the default currency of the world, but it’s on the ropes, which means the U.S. economic power over the rest of the world is on the ropes. I think that readers will agree that they will do anything to keep from losing this all-important power. If any country were to produce a gold-backed currency in sufficient supply, that currency would likely become the desired currency worldwide. Fractional backing would be expected. 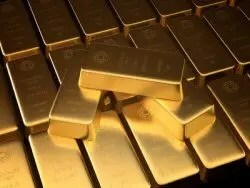 As most readers will know, the Chinese, Indians, Russians, and others see the opportunity and are building up their gold reserves quickly and substantially. If these countries were to agree to introduce a new gold-backed currency, there can be little doubt that they would succeed in changing the balance of world trade. That said, the U.S. government is watching these countries just as we are, and they are aware of the threat of gold to them. 5,000 tonnes of gold in the cellar of the New York Federal Reserve building. Again, there is no certainty that it is there. In general, the authorities don’t seem to like independent audits. In fact, there are rumors that the above vaults are nearly or completely empty and that the above quoted figures exist only on paper rather than in physical form. While there is no way to know this for sure, it’s not out of the question. If the U.S. and the EU could come up with a large volume of gold quickly, they could issue a gold-backed currency themselves. It’s a simple equation: The more gold they have = the more gold-backed notes they can produce = the more power they continue to hold. By seizing upon the private supply of their citizens, they would increase their holdings substantially in short order. Either that or they could just give up their dominance of world trade and power… What would you guess their choice would be? It is entirely possible that the U.S. government (and very likely the EU) has already made a decision to confiscate. They may have carefully laid out the plan and have set implementation to coincide with a specific gold price. The evening news programs announce that the economic recovery is being hampered by wealthy private investors who, by hoarding gold, are skewing the value of the dollar and threatening the middle and poorer classes. The little man is being made to suffer while the rich get richer. A press campaign to equate gold ownership with greed ensues. Possessors of gold, who make up a small minority of the population, would become pariahs. It won’t matter that the guy who owns two gold Maple Leafs is not exactly a greedy, rich man. No one will wish to be seen as resisting confiscation. Neither will they wish to go to prison for resisting, no matter how remote the possibility. One last scary possibility: The government demands that gold is turned in immediately and that settlement will occur following confiscation. After confiscation, it announces that, as there has been such a large number of cases of rich people ripping off the little man, processing them all could take months, possibly even a year or more. Then it sets about making assessments. The bureaucrats find that most investors do not have formal, acceptable receipts for every coin in their possession so, if you paid $1,200 for a Krugerrand a couple of years ago, you get paid $1,200. If you bought it at $250 in 1999, you get paid $250. If you have no receipt in an acceptable form, you get a “fair,” median payment, say, $500, regardless of when you bought it. Appeals: Each investor will be allowed up to one year to appeal the decision of the Treasury as to what is owed him. Of course, the investor knows that the dollar is sinking rapidly and that he would be wise to shut up and take what he is being offered. Again, this hypothetical scenario is an extreme one. The reader is left to consider just how likely or unlikely this scenario is and what that would mean to his wealth but bear this in mind: If the above scenario were to take place soon, the average citizen would have mixed feelings. They would be glad that the “evil rich” had been taken down a peg, but they would worry about the idea of the government taking things by force, because they might be next. It would therefore be in the government’s interests to implement confiscation only after the coming panic sets in – after the next crash in the market, after it becomes plain to the average citizen that this really is a depression and he really is in big trouble. Then he will be only too glad to see the “greedy rich” go down, and he won’t care about the details. As terrible as the thought is, it seems unlikely to me that the government will not confiscate gold, as they have little to lose and so much to gain. Those who own gold would prefer to think that this cannot happen, but they have quite a lot riding on that hope and precious little evidence to support it. It is entirely possible that…[the above] scenario will not take place, just as it is possible that confiscation will not take place. The purpose of this article is to spark some serious discussion – both for and against the possibility. Investors are, by their very nature, planners. It may take a community of investors to develop a legal plan to deal with the above eventuality. Time to get started. choosing a good place to live. Don’t allow yourself to be milked by your home government any more. Get started on internationalizing your life today while it’s still possible. 1. Do You Actually Own “Your” Gold Given What’s Happened in Cyprus & Proposed In Canada/E.U.? 2. Beware: Official U.S. Government Price for Gold is Only $42.22/oz. 4. Be Careful! Owning Gold Bullion is a Revocable Privilege in the U.S. – Not a Basic Right! 5. Will U.S. Government Seize Private Gold and Then Devalue Dollar – Again? 6. Economic/Currency Collapse Could Bring Martial Law and Confiscation of Your High-priced Gold! Got Silver? 14. A “Troy” Ounce of Gold is 10% Greater Than a Regular Ounce – True or False? 15. IMF Proposing New World Currency to Replace U.S. Dollar and Other National Currencies! ==>I would add, if it is faith based then it might be more secure, because the powerful churches. ==>I would add, in a Country that has a great track record of protecting its citizens at all costs. => Get a executive medical exam, don’t put it off, access to good health care may get harder. => Immediately maximize your personal health, it is your greatest possession. => Learn a second language, that is used in a fast growing economy, then visit that Country. => In large breweries, like B. Gates did in Mexico, in tough times people drink. => In large soft drink companies, in tough times people still drink “pop”. => In large water companies, in tough times people need to drink clean water. Great article that everyone should be encouraging others to read and comment upon! Beware all those that encourage you to divest your PM’s just because the Central Bankers are fiddling with the charts most use to track the relationship of PM’s to the US$. I believe we are seeing a Global effort to drive PM’s downward so that the big Central Banks can scoop most of it up at bargain prices, so they can further promote the use of their own paper money! f you don’t think that PM’s are now being manipulated by the Central Banks, then I agree that you should not be investing in PM’s! If you believe that printing paper money cannot go on forever then what is happening now is nothing but a huge buying opportunity! My gut feeling is that when the PM “reversal” happens, it will be so extreme that most small investors will not be able to jump on-board before the prices have skyrocketed relative to where they are currently, due to the market dynamics that favor the really big investors. Here is a great PM question for you, Are the Central Banks still buying Gold, and if so why?